Forget WWE or TNA storylines, what we want to know is when those contracts are going to expire. Even better, who’s going to re-sign? Dear Cody Rhodes: You’ve got the wrestling world’s attention. For years, fans have followed their favorite wrestlers through different promotions (ECW, TNA, WWE, WCW…) and didn’t blink and eye at contracts. There were no headlines about contracts. There was no buzz about contracts. Wrestlers left promotions quietly. Half the time you didn’t even realize it unless you went to the company website. But long gone those days thanks to Social Media. 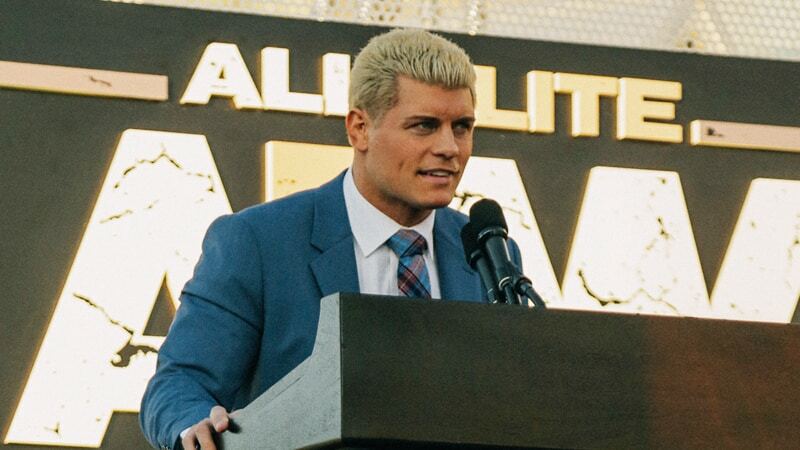 AEW has sparked a new conversation and it’s not going away any time soon. Why? Because they’re for real. They’ve got serious money backing their company. Notice I didn’t say dreams or efforts, because this is very, very real wrestling fans. According to Fightful’s Sean Ross Sapp , the WWE is concerned the Usos will not sign a new deal. IF that is true, it shows you just how much of a threat the idea of something different in the world or pro wrestling can be. In addition, the latest rumors are also swirling about Randy Orton jumping ship. For reals? I cannot see that happening. He’s a multi-time champion and is a cornerstone in the WWE. The Usos bring a much-needed heel base to the Tag Team division on WWE Smackdown. These men are more than bystanders, they keep the lights on. The community’s response to these rumors are not surprising. They are the results of a starved fan base waiting to see more from their favorite superstars. It’s about confidence and belief in characters. These people have taken years of development, but only seconds to ignore. Now they have options. Some of you LOVE Becky Lynch…now. Where were you when the WWE was making her the most suspenseful Bride’s Maid of all time? Now that she’s “The Man”, everyone is on board. Why? WWE listened to its fans and realized what everyone wanted: An evolved Becky Lynch. And this is a person that deserves the notoriety she’s getting right now because she’s put in the work. Now they have to think twice because in the distance is AEW, and well, it’s not a drill, not a joke. Whatever they don’t want, they’ll take, and make better. It only gets better from here.